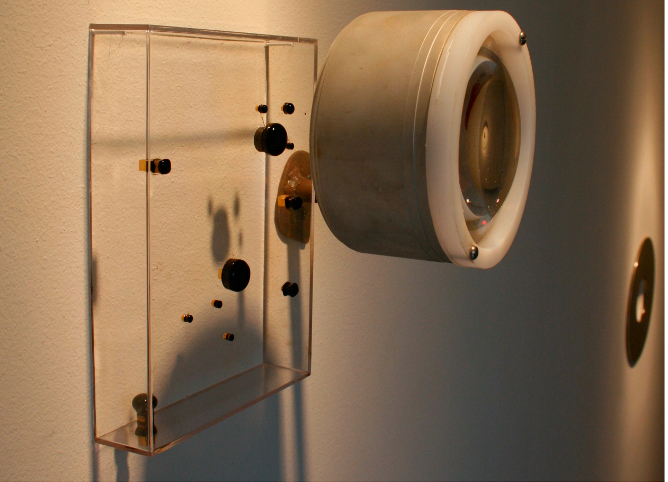 These pieces are part of the Verge Series created in 2008. 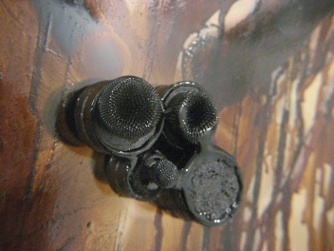 This work is an exploration of the magnetic oil, ferrofluid, consisting of small particles of iron floating in a surfactant. The fluid spikes-up when it is in contact with a magnet showing the path of the magnetic field. Ferrofluid's magnetic suspension and attraction, tension, and order seem constantly on the verge of chaos and unpredictability. This natural persistence of order inspired me to create a series of sculptures called Verge, where I explored tension, growth ratios, and order. Here a current of air pushes the magnetic liquid, as it continually rearranges itself back towards is magnetic alignment, resulting in a tense vibration of the liquid between forces.